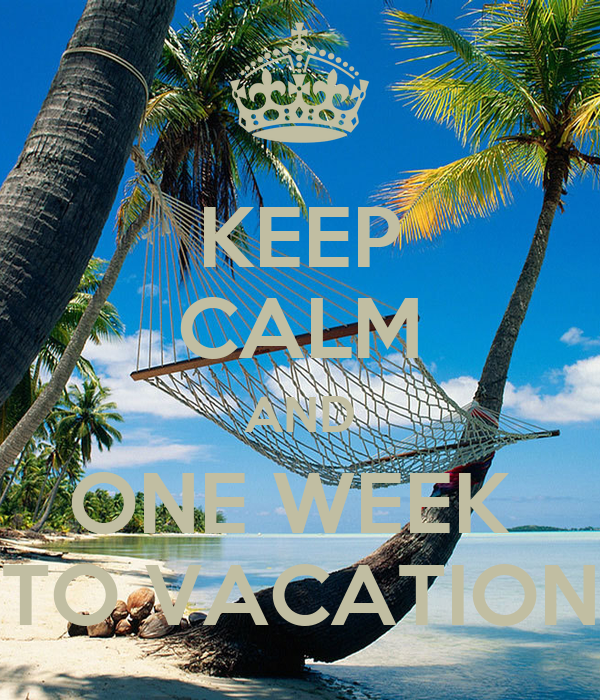 Serenity Now Travel Blog: One week 'til Hawaii! We are a week away and boy do we have a lot going on! First, that surprise I couldn't speak of until closer to the trip...well, I just got back from a visit to Michigan. I was surprising a good friend of mine for her baby shower. She is adopting a little girl from China. The surprise went perfectly and the look on her face was priceless. She arrived at the airport expecting to pick up her mom & sister-in-law, instead she found me, since their plane was delayed. We had such a nice time playing tourist in Detroit and helping her get her home ready for the little one. She's probably going to be in China while I'm in Hawaii. It was a nice visit but I'll tell you, I was so removed form reality that when I got home I felt extremely overwhelmed with how close our trip was and I felt like I had no idea what I was supposed to be doing. After a day home and a full nights sleep, I was much better. This weekend we'll be getting all packed up, since we're flying out on Friday morning and Thursday night will be a full evening. We decided that there was no way we could wait over two weeks until we got home to see Iron Man 3 so... we are going to the first showing on Thursday night! Not only are we going to the showing the night before our big trip, but we're driving 40 minutes to the Palisades Mall (9th largest mall in the country) to see it on Imax. Basically, our vacation begins Thursday night after work. Wednesday night we head up our church's youth group in our home and Tuesday night Matt has softball. Monday is free, but Sunday is also full, with Matt in NJ for a baby dedication. Now you can see why tomorrow (Sat.) is our day to pack. I can finalize any last minute items on Thursday, since I work at home watching the little terrorist. We are so excited!! This is the only day we are not renting a car. We have a snorkeling excursion booked with Splashers. We will be taking a taxi over to their meeting place at 8:30am & spending half the day snorkeling at Kealakekua Bay home of the Captain Cook monument, and a second snorkel destination just south of the Captain Cook monument. We are aboard a raft for this one, so we'll also be able to explore sea caves and lava tubes. I'm a little apprehensive about this one since, well, I'm a prima donna and this "boat" is not prima donna friendly. This trip includes lunch and will be getting us back by 1pm. After we'll head back to the pier as there is a lot around the pier to explore. So a nice relaxing afternoon awaits us...a first since getting on the ship I'll bet. This evening we'll be headed to Lazy J's, Cagney's, whatever they're calling it for a steak dinner. There is also the chance that we'll have the option of special lobsters fresh from Kona, so I'll bet due to this fact this restaurant will be full this evening. I had actually booked it for this night forgetting there was a possibility of lobster and then when I remembered, I looked at my reservations and was impressed that I just happened to book it correctly. Today we'll be heading to pick up our rental car and then it's a fun, full day of exploration ahead. 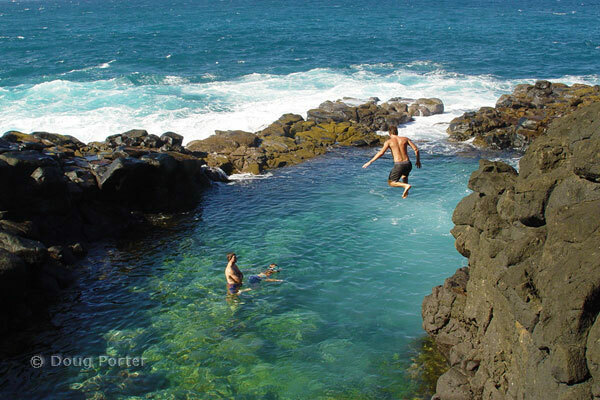 We're planing on visiting Queen’s Bath, Tunnel’s Beach, Hanalei Valley (Wai'oli Beach), Komokila Hawaiian Village, O’Paeka’a Falls & Wailua Falls. We are docked overnight in Kauai so we are once again not in any hurry to get back to the ship. We are just going to drive around exploring, swimming, kayaking, snorkeling, etc. I have the GPS tour guide app for Kauai so we'll probably have that going as we drive around. Tonight we have a reservation at Little Italy and then we'll probably crash since once again it'll be a full day. We'll see. Today we only have a little more than a half day. We'll still have our rental car so our plan is to get up as early as possible and head straight for Waimea Canyon, the Grand Canyon of the Pacific, followed by a visit to the Sprouting Horn, Poipu Beach and then lunch at the famous Puka Dog before returning the car and getting back on board by 2pm. Once on board we can enjoy our last day on the ship. Maybe a nice swim or get ahead on packing so we can enjoy our last evening of our vacation. I guess we'll just have to wait and see. Either way it's going to be a sad day. Today we'll get off the ship by 9:30am. We'll be using Aloha Airport Delivery & Storage to store and later transfer our luggage to the airport. I purchased a groupon for the hop-on-hop-off bus for our last day, since our flight is not until 3pm. If we haven't already, we'll probably head to Chinatown for some dim sum and then ride the bus to get our last bit of Oahu before our long flight home. Once we arrive at the airport we'l call the luggage storage company and they will deliver all our luggage to the airport. Originally I booked this same "tour" thru the cruise line but I would have to return to the pier to pick up the luggage and then head to the airport. Once I found the groupon it ended up cheaper and much more convenient to do it on our own, since our luggage company delivers the luggage to you. Well, those are our plans. Can't wait to see how much we stick to them. I'll be posting periodically for the next week with packing updates. Tip: I usually start the "trip report" the day before departure as I always enjoy reading other people's last minute crazy before leaving for their trip.